Many years on after the 2007-8 financial crisis, most developed nations still find themselves in a state of weak recovery, high debt pile-up and distributive disparity. The intriguing question that we face is whether the golden days of modern capitalism are over, or if capitalism is just undergoing another period of adjustment characteristic of its past. What is disheartening is that the twin economic goals of sustainable growth and equality, which the world has now come to recognise as of paramount importance but mutually conflicting, remain, more now than ever, illusive and unattainable. 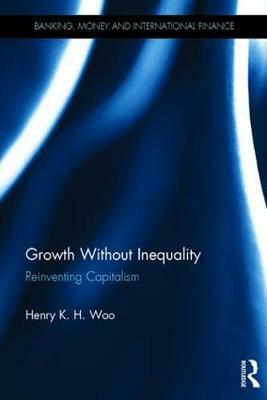 Growth Without Inequality attempts to address this issue and to provide a pragmatic solution especially for nations in the current policy gridlock. By offering a unified framework of factors that drive growth, it shows how growth also gives rise to an array of "anomalous market forms" (defined by different degrees of value and risk visibility) that subvert distributive equity between labour and capital. It debunks both the pure free market solution and the mixed economy approach on the ground that they fail to arrest the growth propelling yet subversive power inherent in the "corporate forms" under the present capitalistic regime. Having shown that effective reform can hardly take place within the system itself, this book proposes to build a separate sector (Economy II) and partition it from the existing system (Economy I). The solution is easy to implement and quick to take effect. By one single stroke, this "Non-Marxist" solution can happily achieve the ideals of both "competitive capitalism" and "egalitarian socialism".